The Public Reception for the artists is being held at the Hutchinson Center for the Arts on January 14 at 5pm. Machines.Water. Light. Brings together two artists working with photographic images to reimagine the notions of place and time. 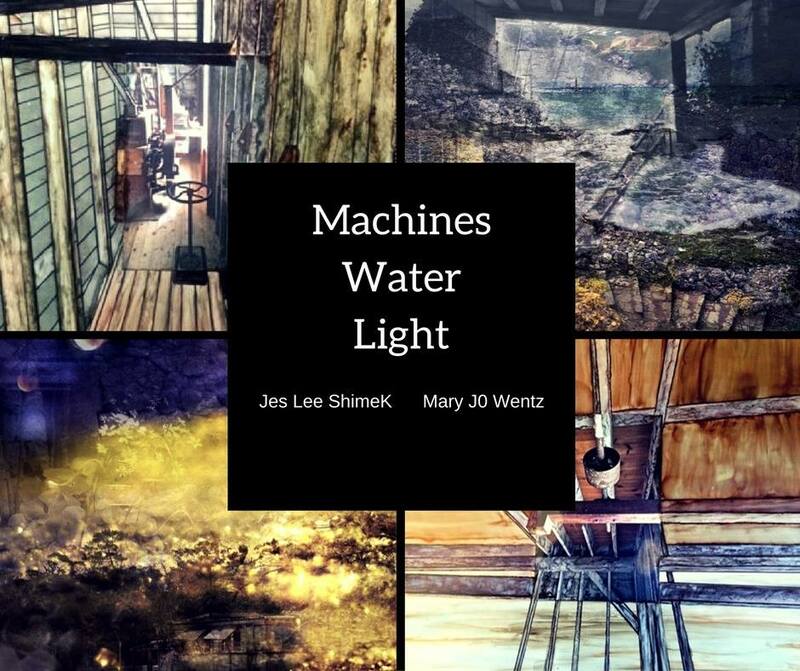 Jes Lee Shimek uses digital photography to explore location and light and Mary Jo Wentz works with collage and alcohol inks to examine the history of machines and their surroundings. Their individual approaches to how an image is created and read are steeped with poetics and beauty. Jes Le Shimek is a Minneapolis based artists and educator. She has exhibited her work in venues throughout Minnesota.